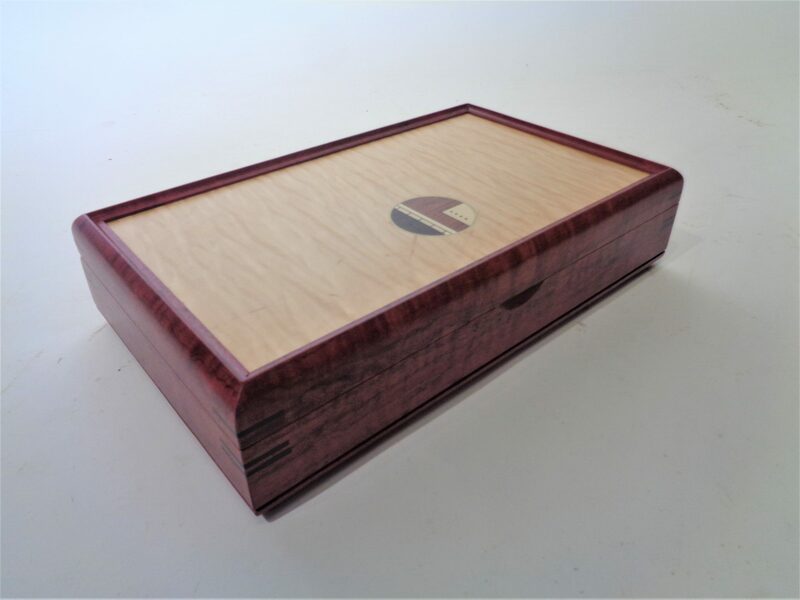 This beautiful valet box made of Purpleheart wood can hold all of your precious rings, jewelry, and keepsakes. The foam interior makes a comfortable storage space for delicate items, ensuring that they never scratch. This is a one of a kind box so call or come see us!